Riders must compete on pedal bikes using human power. Riders cannot accept outside mechanical assistance or parts on the course except from other competitors. Riders may accept outside assistance and change parts at the designated service area. Only one rider per team may compete at the same time. Riders must 'dib' at the control on every completed lap. Any riders/teams retiring must contact an official as soon as possible. All riders must carry emergency food supplies, a whistle, survival blanket and an emergency light. All riders must carry or wear appropriate clothing for warmth in the event. All riders must carry a basic first aid kit. All competitors under-16 years must provide written permission from parents. Any non-school competitors who will be under-14 during the event must contact the organiser's before entering. If entry is permitted by the organisers the competitor must be accompanied by an adult at all times whilst competing. Please read it all to help the event run as smoothly as possible. If you are the Team leader ensure you pass this on to all your team mates. Firstly you’ll need to come to collect your parking pass from Square Wheels in Strathpeffer - stay on the A9 past Inverness over the Kessock Bridge. At the Tore roundabout take the second exit onto the A9 and follow signs to Dingwall on A834. At second set of traffic lights take a left and follow road for 5 miles until you enter Strathpeffer. Square Wheels is on the right in the Square opposite the Pavilion. The event itself is based at Torachilty Forest, on the A835 heading towards Ullapool, half a mile north-west of the village of Contin and about three miles from Strathpeffer. From Strathpeffer : Take a right out of the Square in Strathpeffer and pass by Jamestown. Continue for two miles and you’ll come to a T-junction. Take a right and follow signs to Ullapool until you pass through Contin. You’ll see signs for the event. From the North-west: the site is on the left of the A835 just after the Achilty Hotel before Contin. PLEASE DO NOT PARK ANY VEHICLES ON SITE BEFORE 12PM ON FRIDAY 18TH JANUARY 2019. The site will still be being prepared. Anyone arriving before 12pm will be asked to leave. To gain access to the site you will need to collect your team's Parking Pass from Square Wheels in Strathpeffer between 12.00 and 17.30 on Friday or between 18.00 and 22.00 at the site entrance on Friday evening or between 07.00 and 09.00 at the site entrance on Saturday morning. You cannot collect your pass before 12.00 on Friday and you won't be able to get onto the site without it. One Parking Pass per Team ONLY. Square Wheels will be open until 18.00 on Friday night before the event. Entrance to the site will be closed between 22.00 Friday night and 07.00 on Saturday morning. Parking is always a headache but if we all work together we can make parking run as smoothly as possible. We know you all want the best spots but you can’t all fit on them! We really appreciate your co-operation to make parking happen efficiently. Please do as the marshals ask; they’re all volunteers and they will be doing their best to accommodate you. Probably the biggest headache we have at the Strathpuffer. It’s worth repeating - We limit access to one vehicle per team whether that is a solo, pair or quad. There is plenty of space at the Achilty Hotel nearby for excess vehicles to be left for the duration of the event and outside Contin Community Centre. The plan is to send motor-homes, vans etc up the initial fire road climb to park Tour de France style along the course, those with tents only and caravans have a flat parking area 300 metres away from transition and cars are squeezed in anywhere we can. You must park where the marshals direct you. Please be nice to them - we have a great team and we can guarantee they will be doing the best they can to accommodate you. You must bring snow chains and know how to use them for your vehicle. There is a reasonably large camping area and a whole forest to spread out into if necessary. However, in order to ensure we get as many teams as possible on the best areas please camp neatly and only occupy the area you really need. Our marshals will guide you. This is Forestry Commission Scotland land so no open fires. For those of you that might want to be a little more comfortable either before, during or after the event, here's a link to VisitScotland's website. There are also quite a few local hotels, B&B's and Self-catering options who list themselves on our Facebook page and AirBnB. All team members must be registered by Saturday 10.30 am. All team members must register and sign an Indemnity Form. All Under-16’s must have Parent/Guardian signed permission to participate. At least one rider from each team must be registered in order to start the first lap. The team member who starts the race must complete the first lap. No changeovers permitted! The first lap will not qualify towards the fastest lap. There is a rider briefing outside the marquee at 9.45am. Please attend. The Race starts at 10am with a Le Mans style run. You will be piped to the start-line. To save some time at registration you can download and print the following documents. Under-14's must complete both the Under-16 form AND the Under-14 Accompanying Adult form. Available to download before the event from December. 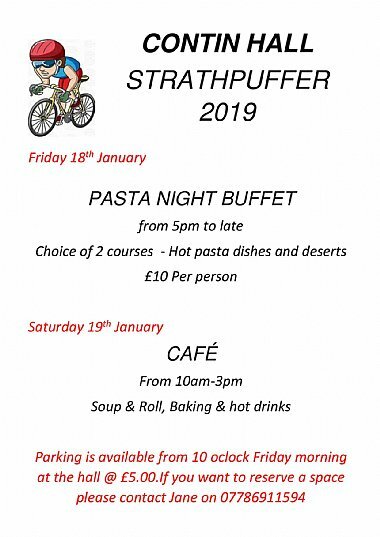 Red Poppy Catering will be working hard over the weekend from Saturday morning onwards to keep you all fed - pasta, soup, bacon rolls, muffins, chocolate, tea, coffee and much much more will all be available to replace the many calories you will be burning. There is limited food available during the wee small hours but FUEL Foods will be providing their porridge pots throughout the event and also tea/coffee overnight on Saturday. On Friday night we have the Box Pizza Company onsite with their delicious artisan pizzas. Contin Stores sells all the usual stuff including chocolate, sweets, energy drinks etc., and also the petrol station which has basics... and fuel! SPORTident will be with us for the weekend to provide their usual consistently accurate timing and rapid results service. We will be allocating one dibber per team which must be "dibbed" in the transition area at the end of each lap. Only one member of each team is allowed to be on the course at any point in time. Square Wheels will be on site for emergency repairs with spares, brake pads, energy bars, lights, socks, gloves, cables etc etc on sale too. Please don't set up any "pirate" shops. We are legally obliged to license any vendors so if you are interested in a pitch send us an email so we can talk about it. There are a number of organisations who support this event and it wouldn't be fair to undermine their contribution. Any unlicensed vendors will be asked to leave. We have limited water supplies and they might be frozen, so please bring sufficient water for your own use. Toilets – We will have plenty Porta-loos dotted about onsite... and we do go round checking loo-roll supplies etc. Is there power to charge my batteries? Yes, Exposure lights will have free charging facilities throughout the race, as well as ex-demo lights for sale. Please make sure your lights are fully charged so we don't overload the system. Hired lights should be collected before the race starts......after that they will be issued on a first-come basis. We would be eternally grateful if you could take as much of your rubbish away with you as possible - we realise that an event of this nature generates all sorts of detritus but we don't want to be finding it in the forest for the rest of the year. It's appreciated if you try and do your bit for the environment. We provide limited rubbish disposal facilities for landfill only (not for your awnings and kitchen sinks though !) so please take your recycling home in the bags provided at registration and help us recycle more ! - Ta. There is Spectator parking at the Community Centre (a charge may apply) as well as in the village of Contin. Please follow guidance on where to park safely in the village and ensure you are not blocking access for local residents and emergency vehicles. We endeavour to organise the prize-giving for as soon after 11am on Sunday morning as possible. Last year we managed to get sorted by 11.30am so that will be our target this year. Please hang around to cheer those that have done good. Finally, we hope you really enjoy the ‘Puffer, and enjoy your training. Keep your eyes peeled for updates on the website & Facebook.